If you are interested in sponsoring or exhibiting at the StoryWorld Conference + Expo, please contact Jennifer Affrunti at 678-324-1539 or jennifer@expoincorporated.com. Presenting Sponsors: Intel and Pereira O'Dell - Intel is a world leader in computing innovation. The company designs and builds the essential technologies that serve as the foundation for the world’s computing devices. In 2011, Intel partnered with San Francisco ad agency, Pereira & O’Dell, to deliver a new social film project titled “Inside.” The creative collaboration and campaign was co-presented with Toshiba America. The blockbuster-class experiment brings a new genre of interactive and social entertainment and was directed by D.J Caruso (Disturbia, I Am Number Four, Eagle Eye) and stars Emmy Rossum (Shameless, Phantom of the Opera). Participating Sponsor: Graphicly - Graphicly provides brands, publishers and creators the ability to distribute their visual multimedia stories across multiple platforms including HTML5, Facebook, Apple and Android, and readers such as Amazon, Barnes & Noble and many others. With publish once / distribute everywhere technology, Graphicly allow creators to focus on whats important: unleashing their creativity, increasing monetization, all while expanding and engaging their fan base. Participating Sponsor: Coincident - Coincident is changing how storytellers engage their audiences with digital media by offering a technology suite that allows the creation of interactive video experiences across multiple platforms. This technology suite is comprised of a declarative programming language, an intuitive editor, a cross-device player, and an engagement analytics dashboard that allows content owners and distributors to create new levels of engagement that redefine the entertainment experience. Nominated for an Emmy for its Glee Superfan Experience, Coincident delivers enhanced online video experiences for Fox Broadcasting, ABC, CBS, NBC and MTV. Participating Sponsor: dubit - Dubit have created a technology platform that helps brands create games, worlds, and digital adventures that sit at the heart of a transmedia experience. Customers including Cartoon Network and the BBC, as well as beloved brands Monty Python and The Wizard of Oz, have all used Dubit's Adventure Engine to extend their story into online virtual worlds. Dubit's transmedia studio include writers, artists, developers, and a dedicated research team who help to put your customers opinions at the heart of your project. Experience Sponsor: CFC Media Lab - Created in 1997, CFC Media Lab provides a unique training, research and production think-tank environment for emerging new media content developers, practitioners and companies. An internationally acclaimed and award-winning facility, graduates of CFC Media Lab emerge as leaders in the world of interactive media, produce innovative projects and start up 21st Century companies. CFC Media Lab has graduated more than 200 professionals through its various programs and services including TELUS Interactive Art & Entertainment Program (IAEP), Interactive Project Lab (IPL), Interactive Narrative Feature Program (INFP), and NBC Universal Multiplatform Matchmaking Program (MMP). Over 100 interactive new media content products have been developed and delivered in a variety of platforms. Media Lab productions include the ground-breaking interactive film, Late Fragment, and the dynamic mobile visualization project of WHAT’S YOUR ESSENTIAL CINEMA? co-produced by CFC Media Lab and TIFF. CFC Media Lab is a leader in building collaborative environments that sustain creative transformation. Associate Sponsor: Writers Store - Since 1982, The Writers Store has been respected worldwide as the leading authority on screenwriting and filmmaking tools. We're the ones professionals turn to when they need advice on choosing the right tools for their writing needs. 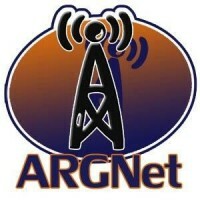 Media Sponsor: ARGFest-o-Con 2011- ARGFest-o-Con, an annual conference, festival, and meet-up designed to offer presentations and events related to alternate reality gaming, transmedia and serious games, will be held in Bloomington, Indiana from August 18-21. ARGFest-o-Con 2011 takes place at the Biddle Conference Center at the Indiana Memorial Union, located in the heart of Bloomington. The event includes two evening social events, two days of presentations and panel discussions, and a city-wide scavenger hunt before wrapping up with an afternoon session of the Bloomington Independent Gaming Night. Media Sponsor: Get Storied - Innovators, change-makers and leaders succeed by getting others to believe in their story. This singular pursuit serves as the foundation to achieving all of your other business drivers and priorities. If you need to raise money, you need a bigger story. If you want to reposition your brand, you need a bigger story. If you want to engage a certain audience, you need a bigger story. When you can tell the bigger story — that others identify as their own — the need to convince or sell people on anything disappears. That’s what we specialize in: how to take anything new and different and translate it into widespread cultural acceptance. Media Sponsor: The Alternate Reality Gaming Network is the largest and most complete news resource available for players of online collaborative Alternate Reality Games. For many years, this site was the central hub for an affiliate network of sites that were independently owned and operated by volunteers for the enjoyment of themselves and the ARG community. In October of 2006, the site’s focus switched over to being a news network first and foremost, and will continue to operate in this facility. 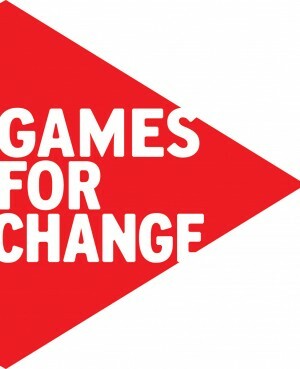 Media Sponsor: Games for Change - Founded in 2004, Games for Change is the leading global advocate for supporting and making games for social impact. We bring together organizations and individuals from the social impact sector, government, media, academia, the gaming industry and the arts to grow the field, incubate new projects and provide an open platform for the exchange of ideas and resources. Media Sponsor: MovieViral.com - The latest viral news for film and beyond. Media Sponsor: Sparksheet - Sparksheet is an award-winning multiplatform magazine that explores how brands are using different platforms to get relevant content to the right people – wherever they may be. Through original think pieces and in-depth Q&As with international thought leaders, Sparksheet highlights the unexpected connections between various parts of the media and marketing world, from journalism and entertainment, to advertising and technology. Powered by Spafax, a WPP content marketing agency, Sparksheet is committed to being an editorially independent think thank and industry publication where everyone from colleagues to “competitors” is welcome to join the conversation. Media Sponsor: Bunnygraph Entertainment - At Bunnygraph, a digital content and strategy company, our team works with writers, talent and technologists, to create serialized multi-platform formats for television, interactive and mobile platforms. Developed as “Storytelling through Advanced Content”, this transmedia programming is designed to drive innovation through enhanced user experiences while challenging new technologies to create seamless branded content and integrated marketing solutions. Media Sponsor: ITVT - InteractiveTV Today [itvt] is a media company which identifies new trends, business opportunities, and personal relationships within the multiplatform interactive television industry. [itvt] offers professional services, products, and programs to clients, subscribers and attendees of our events. These include our free [itvt] daily email newsletter, focused analysis and advice sessions, in-depth research reports and surveys, an industry portal daily news Web site, the bi-annual TV of Tomorrow Show conferences in San Francisco and New York City, dynamic workshops, searchable databases, discussion groups, reader blogs, and interactive click TV programming. 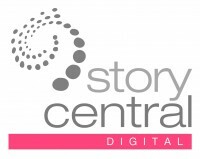 Media Sponsor: Storycentral Digital - storycentralDIGITAL, founded by novelist & playwright Alison Norrington, is at the forefront of fragmenting and researching story across all medias with a commercial view towards multiplatform/transmedia strategy and production. With the central focus always 'story', the company amplifies the value and power of robust story universes and prepares them for multiple platform extension. storycentralDIGITAL advises on invigorating intellectual properties, orchestrating organic harmonies of digital tech, engaged audiences and savvy consumer brands with a close eye to story architecture, experience design, viewer/user/player engagement and narrative design. The company runs high-profile masterclasses at European Broadcasting Union, the largest association of national broadcasters in the world. storycentralDIGITAL consults globally to broadcasters, publishers, producers, authors and screenwriters to maximize the potential of their storyworlds, from locative, scalable projects to internationally recognizable franchises over extended timelines. storycentralDIGITAL is pleased to announce the imminent launch of storycentralLABS - a focussed networking hub that aims to bring together creators, thought-leaders, brands and tech to identify storytelling problems and hack together for innovative, often disruptive, solutions. Exhibitor: Demibooks - Demibooks provides a publishing platform for interactive books. Demibooks® Composer is the first code-free, affordable way for publishers and self-published authors and illustrators to create interactive books for the iPad, right on the device itself. Composer is now available for free download for a limited time from the App Store. Founded in 2010, Demibooks is headquartered in Chicago with a Development Center in Sydney, Australia. More information about the company and its products can be found at www.demibooks.com.